Being the number one sport in the Philippines, it's no wonder that there are many basketball summer camps once school is over. 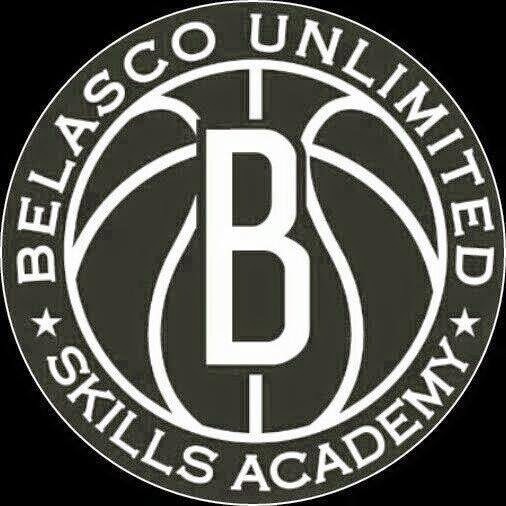 I'm highly recommending Basketball Training at Belasco Unlimited Skills Academy (BUSA) where kids enjoy not just basketball but also reading, sharing and positive thinking. First reason why you should consider BUSA, it is owned and personally ran by Nic Belasco, 17 year PBA Veteran, 8th time PBA Champion, Top 10 All time in rebounding, Mythical 5, Mythical 10, and Defensive Team, who won many championships and individual awards. 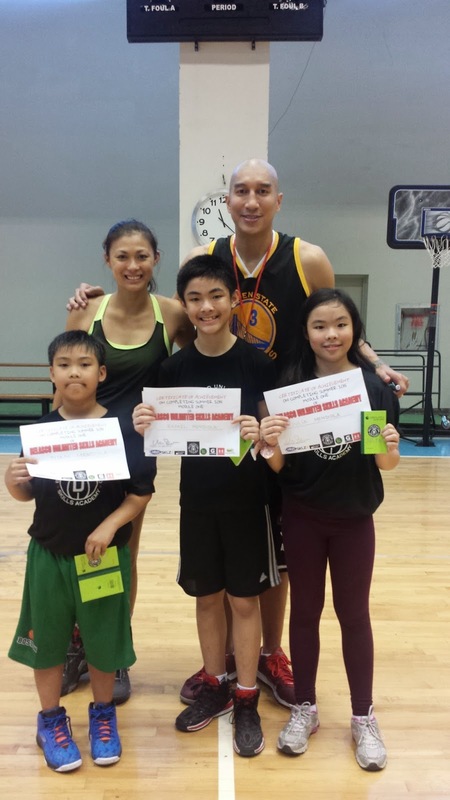 Coach Nic personally trains kids and adults for basic fundamentals of the sport. He shares his program format and how he divides and provide training drills for each. Making sure to develop skills of players from beginners to the adult level. BUSA have participants even as young as four year olds. Second reason, BUSA is family-oriented. 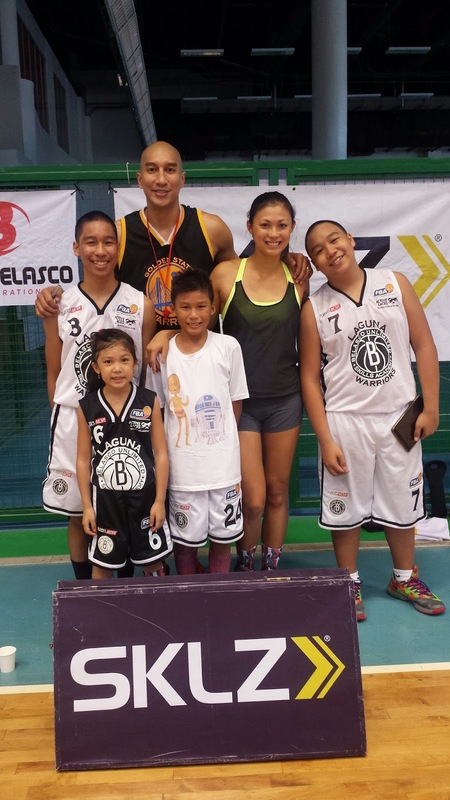 Coach Nic, as well as his wife, Mafae-Yunon Belasco (Bb. Pilipinas World 2003 and Miss World 2003 Top 5 Finisher) are very hands on at BUSA. Mafae teaches tennis. while making sure she takes care of the marketing and business side. Mafae also assists the kids while training for basketball. BUSA's training is on a personal individual level. Whether the kid is a boy or a girl, 4 or 44, they focus on teaching the kids the tools needed to improve their play. I have to admit that I'm not aware of the achievements of both Coach Nic and Mafae. I stopped watching PBA when Jolas retired. I'm not much into beauty pageants because the contestants remind me of my frustration - to be tall (wink, wink!). Kidding aside, I'm very much happy to learn about BUSA because the Belasco family are very humble while teaching the kids about discipline, positivity and integrity, among others. Though Rafael is part of Aquinas School Basketball Varsity, I haven't seen him as confident as when he joined BUSA. Juan actually wanted taekwando lessons for this summer but he enjoyed the whole week at the camp. He may still have difficulty dribbling and running but he looked forward each day. He was up early for he didn't want to be late. Plus, he enjoyed the free-flowing Gatorade, hahaha! As for Julia, I have to be honest, our princess is kind of lazy. She's the type who'd rather read, and read, and have I mentioned read? She came for a trial on the second day of the camp. After that, Julia was unstoppable! She shoots better than me now! If you think your kids have no talent for basketball, think again. 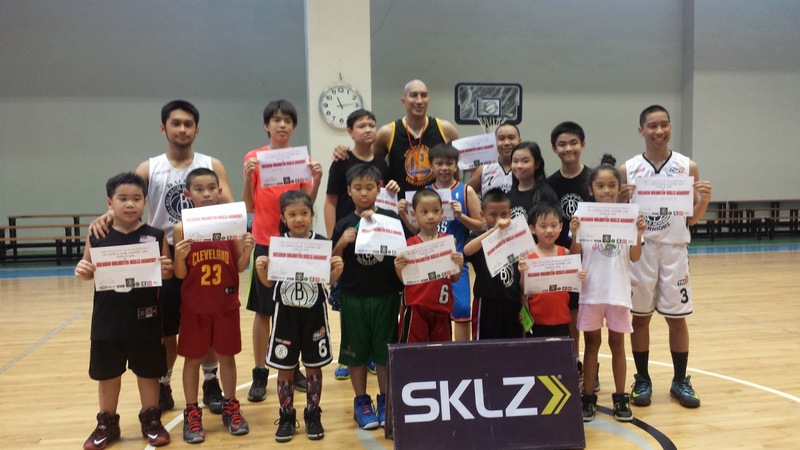 Enroll them at BUSA and you might find the next PBA Most Valuable Player because Coach Nic's program involves breaking down the barriers in children’s minds, teaching the little ones about positive thinking. They even encourage kids to read, and part of their tasks is to bring books. 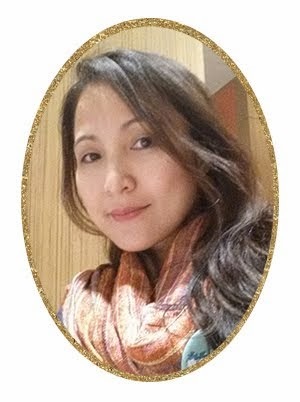 As for me, I'm a happy mom because my kids learned a lot. 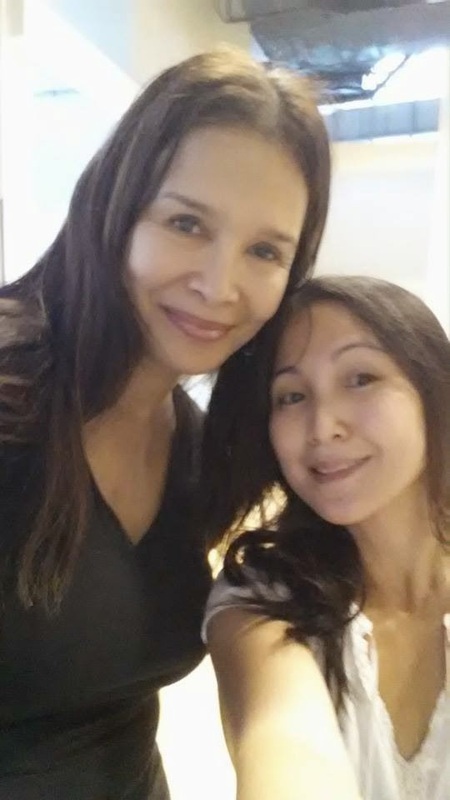 Plus, I get to meet famous people I see only on television and print, like Ms. Melanie Marquez! Don't just take my word, enroll your kids at BUSA and see your kids transform from couch potatoes to active, healthy and happy kids. Check out the video below and see how Julia, Rafael, Juan and the rest of the participants enjoyed while learning the fundamentals of basketball.